Continuum's VP of Marketing, Mary Crogan, is a talented marketing professional with over 25 years of experience in strategic marketing. Over the last 10 years, Mary has worked with industry-leading SaaS companies, and is skilled at translating market insights into opportunities, defining market position and developing targeted messaging platforms that lead to increased market share. 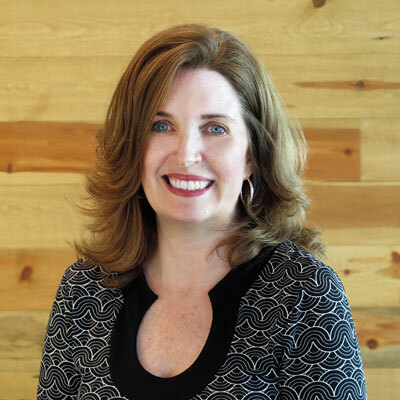 Mary is recognized by her team as a customer-focused growth catalyst with a career history of developing innovative go-to-market strategies, effectively leading and motivating cross-functional teams, and driving bottom-line results. The daughter of an Irish immigrant, Mary was the first in her family to attend college and graduated with a BS from the Carroll School of Management. I've done so by inspiring our marketing organization to not only grow our business but also support our partners in their pursuit of new customers, deployment of new services, etc. with a number of programs and resources. One of these programs is our annual user conference, Navigate, which we have grown every year without fail. In 2017, our team built and executed the best Navigate yet, with record-breaking attendance, NPS scores and media impact, advancing our brand and relationships with existing and potential partners in the channel. I've spearheaded the marketing efforts around the launch of Continuum Security, delivering content and playbooks designed to help service providers transition from MSP to MSSP, as well as supporting Continuum's global expansion with events and initiatives in EMEA and Australia. Finally, with sales and marketing ranking as one of the biggest challenges for MSPs, my team has delivered resources to support their programs including an industry-leading blog, a Sales Accelerator Playbook, marketing consultations, lead-generating content and more. My goal is to empower IT service providers with the tools, resources and insights they need to reshape how they deliver IT services and be the best in the business. I was promoted to VP of Marketing at the start of 2017. Our CEO, Michael George, trusted me to take the reins at a pivotal time in our company's growth and expansion, which has meant a great deal to me. I admire Shannon Watts. After the Sandy Hook tragedy, Shannon started a Facebook group to encourage Americans to do more to reduce gun violence. This online conversation turned into grassroots movement of American mothers and led to her founding Moms Demand Action For Gun Sense In America. Shannon is a woman I admire not only for what she stands for, but as an ordinary mother who had the courage to stand up for what she believes in, raise her voice and inspire a whole generation of moms to do the same. Step outside your comfort zone and don't be afraid to try something new. It's how you discover your passions and what makes you, you! Providing team members with constructive feedback isn't easy for me. I've had to come to terms with my discomfort because it is an important part of my job and essential to being an effective leader, but I would love to find a way to "master" it. History and historical fiction are my favorite categories. My favorite book this year was a biography of George Washington, titled "Washington: A Life" by Ron Chernow. It chronicled his life from a troubled boyhood, through is feats in the French and Indian War, his exploits leading the Continental Army, his presidency and life at Mount Vernon. I liked the book because I knew so little about George Washington going into it and came away with a much deeper understanding of the man, his ability to lead and inspire, and his political genius.